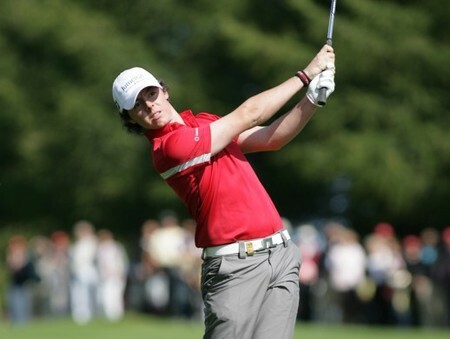 Race to Dubai leader Rory McIlroy has moved up four places to a career high 13th in the world. Now the Ulsterman, 20, can achieve three of his season's goals in one fell swoop with victory in this week's Dubai World Championship crowning him king of Europe and catapulting him into the world's top 10. McIlroy moved to 16th in the world when he captured the Dubai Desert Classic earlier this year and reached a career high of 15th the following week. He slipped to 29th following a poor week in the WGC-Bridgestone Invitational at Firestone in August but has been on the rise ever since thanks to seven top-10 finishes in his last eight starts. 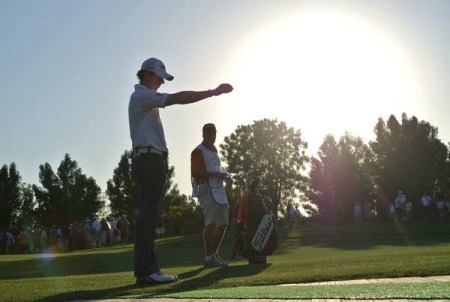 His red-hot streak of form began when he shared third place in the US PGA at Hazeltine. Seventh in the European Masters at Crans, he was third in Korea, tied second in the Alfred Dunhill Links, tied fifth in the Volvo World Match Play, fourth in the HSBC Champions and then second behind Gregory Bourdy in Hong Kong on Sunday. Graeme McDowell regained his place in the world's top 50 by moving up one place to 50th while Padraig Harrington remained at sixth. Peter Lawrie rose 18 places to 155th.